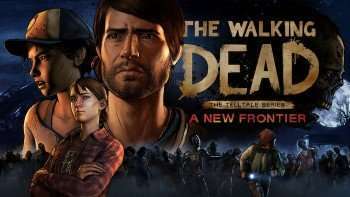 Telltale Games has received a healthy share of critical acclaim for The Walking Dead series, as episodic based gaming is a genre that continues to build momentum. The first episode of The Walking Dead: The Telltale Series – A New Frontier premieres will be available on the Telltale Online Store, Steam and other digital distribution services starting December 20th. The game will not be restricted to just one device, as it’s being released on PC, Xbox (One and 360), PlayStation (PS4 and PS3), and iOS (App Store) and Android (Google Play). Playstation 4 users who preorder the title will also receive a complementary copy of The Walking Dead: Season Two and The Walking Dead: Michonne while Steam users earn a 10% savings on their preorder. For hard copy enthusiasts (such as myself! ), a Season Pass Disc hits the streets February 7th for PlayStation 4 and Xbox One users. Telltale Games offer up a sneak peek at the premiere episode at The Game Awards, which takes place December 1st at the Microsoft Theater.